Penketh Group has revealed an increase in the number of customers looking for well-designed products with strong eco credentials. The recycling trend has spread firmly from the home to the work environment with more companies sourcing products with a sustainable pedigree. Paul Mann, Sales Director of Penketh Group, said: “We are seeing an increasing number of customers interested in well-designed and sustainable products that incorporate elements of recycling, upcycling and re-using. “There are an incredible array of products on the market today including chairs that can be completely recycled, stunning fabrics with strong eco credentials and even acoustic lamps made from recycled felt. The company has recently worked with interior designers SpaceInvader to provide furniture for engineering consultants Hilson Moran to meet the WELL Building Standard. 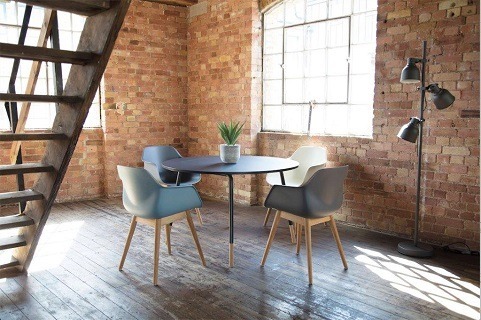 All the furniture was sourced by Penketh to conform to stringent VOC (volatile organic compounds) expectations in order to improve air quality and ensure long-term compliance. Hilson Moran’s Manchester office is now set to be the first WELL Gold Standard accredited office in the North of England. Worker wellbeing is a hot topic and there are an increasing number of products coming to market which help people feel good at work and drive business performance. Christina Strand is one of the designers from Ocee Design which pioneers new furniture products to ‘enhance the working environment of the end user’. She said: “A cosier direction and a more organic shape is entering the workplace. There is also a shift in focus, not just on the cost of furnishings any more but the quality. What’s behind Advantia’s rebrand and new website?